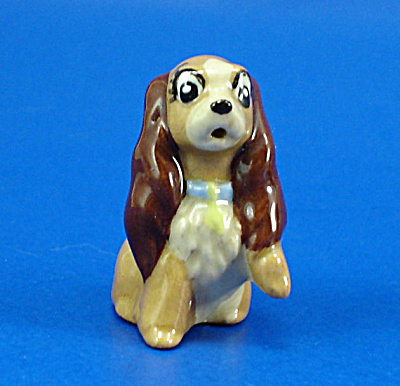 Hagen-Renaker Miniature Disney Lady from Lady and the Tramp, #5001, 1 3/8" high. Produced from 1955-1959. Excellent condition.